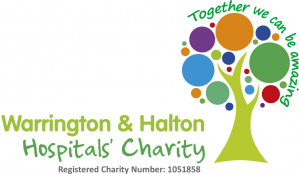 Warrington and Halton Hospitals NHS Foundation Trust manages two major hospital sites - Warrington Hospital and Halton General Hospital. We also provide services at the Cheshire and Merseyside Treatment Centre on the Halton site. This section gives you some useful basic background information on our hospitals. The majority of our emergency care and complex surgical care is based at Warrington Hospital whilst Halton General Hospital in Runcorn is a centre of excellence for routine surgery. The Cheshire and Merseyside Treatment Centre is home to our orthopaedic surgery services. The hospital sites are around 10 miles apart and are easily accessible being very close to the North West motorway network. Although each hospital site specialises in particular aspects of care, we provide outpatient clinics for all our specialties and diagnostic (scanning) services at both Warrington and Halton so people can access their initial appointments close to home wherever possible. We also provide some outpatient services in the local community. We've invested heavily in our hospitals over recent years - nearly every ward has been refurbished and we've seen development of new facilities and departments that make our hospitals a great place to receive your care. Further information about Warrington Hospital and useful links to other pages. Further information about the Cheshire and Merseyside Treatment Centre. Details of clinics and outpatient services we provide at community locations. Patients rate Halton General Hospital and the Cheshire and Merseyside Treatment Centre at the highest satisfaction rating of five stars on the NHS Choices website. Warrington also scores well at four stars. For more information on risk ratings, mortality, patient feedback and infection rates, please visit our transparency section of the website here.